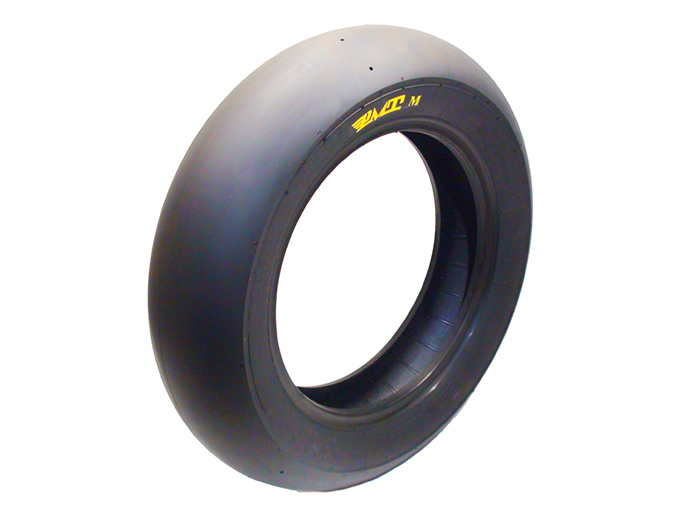 ***TEMP SOLD OUT*** 130 width 12 inch rear PMT competition slick in medium compound designed for rear wheels with 3.50 width. We specifically asked for this 130 with a 75 aspect to match the height of the standard 120/80s. Racers choice for Groms, Z125 Pros, and the rest of the mini streefighter class, as well as heavier, powerful bikes like the CRF150R and YZ85 KX85 etc.